One of our favorite vegetables at our house is spinach. My older son loves it. He did need some clarification on the name when I told him I was cooking it. "Is that the stuff that Popeye eats? Then, yes, that will be my dinner." 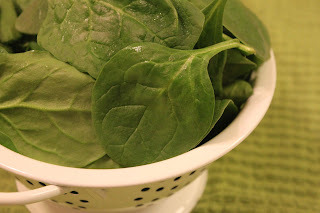 Now, for some crazy reason that I can't fathom, I only bought one bag of fresh baby spinach. We normally eat two bags at a time. One bag cooks down to about a cup of spinach. I won't make that mistake again. So, if you and your family like spinach, buy two bags. You'll love it! Heat olive oil in a skillet over medium-high heat. 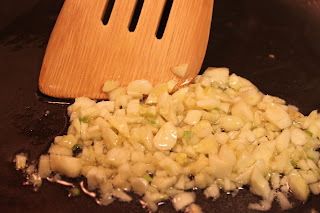 Add chopped garlic and cook for one minute, stirring continuously. 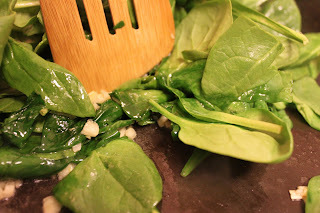 Add the entire bag of spinach and cook by lifting the oil and garlic from the bottom of the pan. Season with salt and pepper. Cook for two minutes. 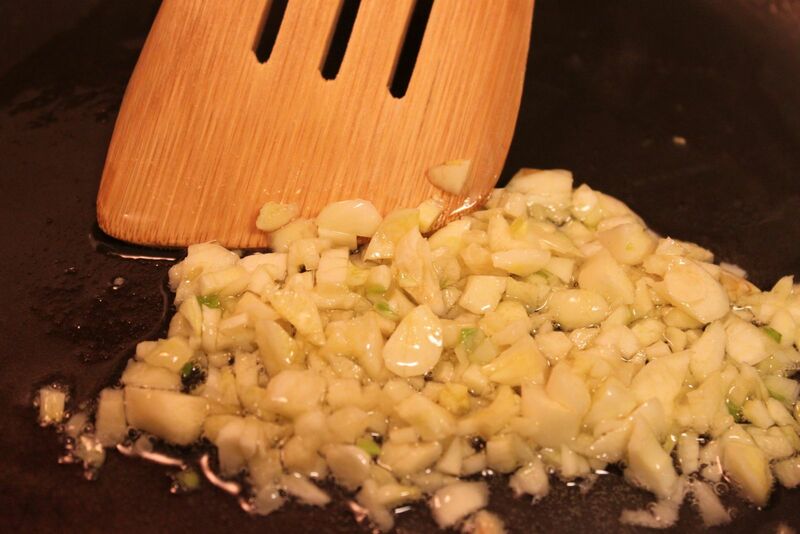 Heat the olive oil in a skillet and add the chopped garlic. This is a lot of garlic, I know. You don't have to use as much. The garlic only needs to cook for about one minute. We like ours a little firm. But, if you like it softer, just lower the heat and cook a little longer. You don't want it to brown. It will taste bitter. Add all of the spinach. It will wilt quickly. 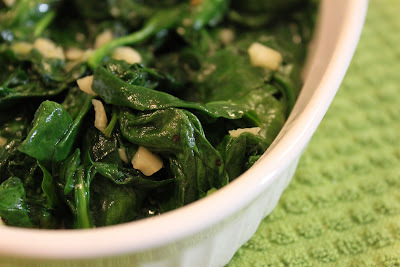 I cook the spinach by "folding" the garlic and olive oil around the spinach, scraping it up from the bottom until the leaves are well coated. I wait until the end to add the seasonings. 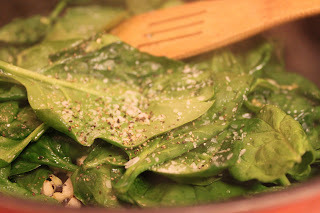 The salt will bring out the moisture and I don't like too much water in my spinach. 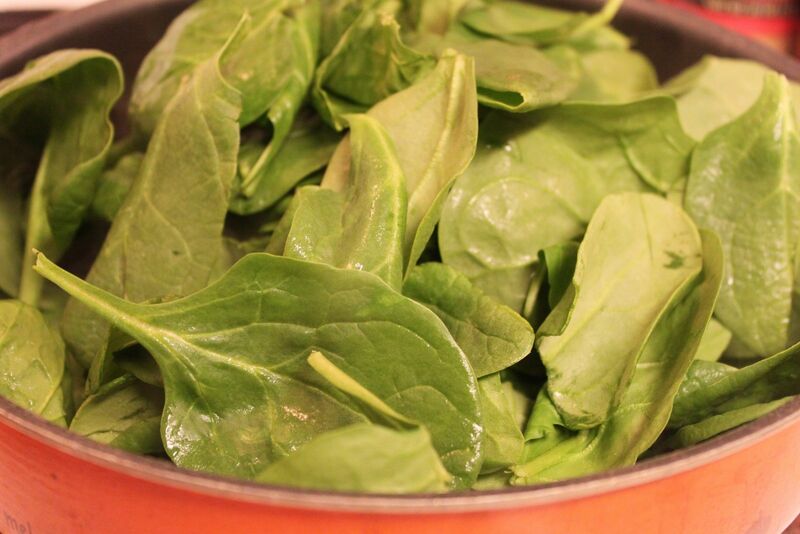 From the time you add the spinach to the pan until it's done should be about two minutes. 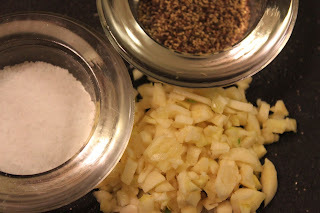 Counting the time it takes to soften the garlic, this is a quick, 3-minute dish. Another thing that I love about this dish is that I can make it and cover it while I continue cooking. It holds up well. Thank you, Jan. You are so sweet. I'm glad you're enjoying my blog and stories.